“Valentine’s Day is a made-up holiday created by Hallmark.” No, that’s National Boss’ Day, Oct. 16. “Valentine’s Day is fictitious. St. Valentine is supposed to be the patron Saint of chocolate…or greeting cards…or something.” No, he was a real dude and a heroic one at that. More on him in a minute. “Valentine’s Day is anti-Christian.” Actually, quite the opposite as you will see shortly. So many misconceptions and outright falsehoods about the celebration of love on Feb. 14. So what is true and what isn’t when it comes to St. Valentine and Valentine’s Day? During Emperor Claudius II’s reign, Rome found itself in several unpopular wars. Exhausted soldiers began refusing to join the Roman army. It occurred to Claudius that the wives of the soldiers were behind the mass refusal. As a result, Claudius canceled every marriage and engagement in Rome. A born romantic at heart, a priest named Valentine defied Claudius’ order and married couples under the cloak of secrecy. When his defiance of Claudius was discovered, Valentine was beaten and imprisoned. While in prison, Fr. Valentine helped many Christians escape when they were tortured for their faith. Later, Valentine fell deeply in love with his jailer’s daughter who had visited him often. Just before his death, the smitten bishop wrote a goodbye letter to his sweetheart, signed “From Your Valentine”. The expression caught on with Christians who were mourning the death of their champion and is in vogue today for the love-struck amongst us. If that isn’t worth more than a box of Russell Stover’s and a dozen Safeway pansies I don’t know what is. 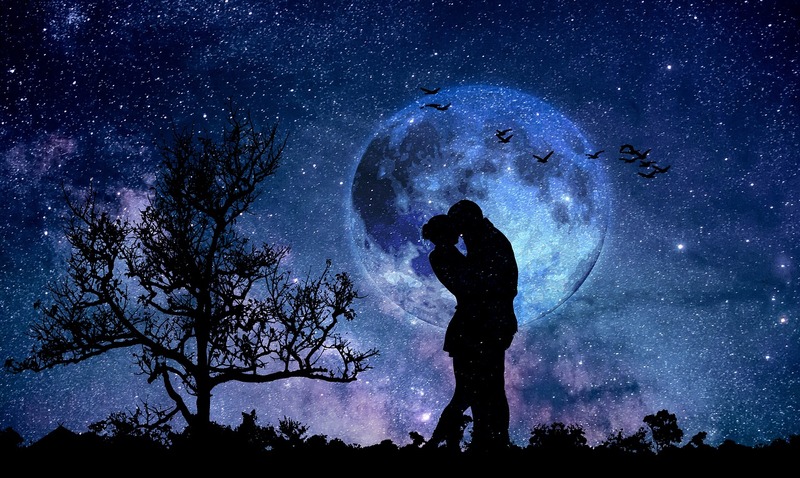 Here are some snapshot ideas of places to go for a kiss your sweetie under the moonlight moment. Two words: “The Notebook.” Even the most romance-avoidant are moved by the sight of Ryan Gosling and Rachel Macadams, soldered together at the lips under an Old Testament rainstorm. Leave the umbrella at home and go get soaked in the arms of your lover. There is something about steaming up the windows. For many of us, car kissing is the stuff of memories. Make it a part of your present, as well. Choose a bigger car than that B210 you owned in high school. This one is most fun if you just met, but it works even if you are hosting the party. Sure, it may irritate a coat owner, but you couldn’t help what happened. It was chemistry and magnetism. This is another party go-to for the hot-blooded folks here at Gildshire. All of these ideas convey the “overcome with the need to kiss you” of it all, and a closet at a gathering of some kind fits the bill. Greet your war hero or heroine this way on Valentine’s Day. Remember this photo of the sailor back from the war, bending the pretty girl over backward? Did you know they were strangers? DO NOT try that with a stranger today. But, with your sweetie? You’re all alone in a crowd. Art is art, but love is art, as well. If you are moved by sculpture, painting, or portrait why not share and celebrate it with a gentle kiss? Isn’t that a metaphor for your love life. You fell in love and had your heart broken. You fell in love a second time and the other person wasn’t all that into it. Finally, you fell in love a third time, and it was the BEST! Get on board, kiss at the apex and hold on for dear life as the car plunges to the abyss! Are you okay? Of course, because the love of your life was there beside you. Happy Valentine’s Day from the sappy, romantics at Gildshire Magazines.